February 12 – A political spin doctor who worked for Britain’s Conservative party attempted to scupper Qatar’s bid to stage the 2022 World Cup according to UK reports. Sir Lynton Crosby, a highly regarded strategist, pitched a £5.5 million lobbying campaign in April last year to pressure FIFA into stripping Qatar of hosting rights, according to a leaked document first published by the Guardian newspaper. 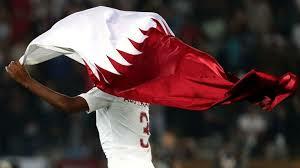 The document, entitled ‘A proposal for a campaign to expose the truth of the Qatar regime and bring about the termination of the 2022 World Cup in Qatar’, would have involved setting up fake campaigns on social media and lobbying politicians, academics and journalists. According to the claims, CTF Partners, Crosby’s lobbying organisation, would have demanded £300,000 a month for 18 months to spread negative stories about the hosts of the tournament and press FIFA to “restart the bidding process”. Australian-born Crosby’s potential client for so-called ‘Project Ball’ was apparently Khalid al-Hail, a Qatari opposition leader living in exile in London who was a founder and president of the Qatar National Democratic and fled his country after, he claims, being detained and tortured. In December 2010, the Gulf state upset favourites the US and the rest of the bidders to land the 2022 World Cup and has spent the best part of eight years fending off allegations of wrongdoing during the bid process and about their human rights record. The latest revelations only serve to highlight what goes on behind the scenes in the murky world of high-stakes football politics. But Crosby’s lawyers told The Guardian that the proposed work was never carried out, nor was a contract ever established with al-Hail. “It is legitimate for one party to use the services of people/entities such as our clients to put important information into the public domain in an effective manner,” the lawyers were quoted as telling the Guardian.